Mercer Street is John Heldt’s seventh novel and the second in his “American Journey” series. When I reviewed the first John A. Heldt book I declared I had found a new favourite author. He hasn’t disappointed me with Mercer Street. I also said that I was not a time travel fan but Heldt’s books are different. They are free from technical gadgetry that can put a time travel story into the sci-fi genre. Heldt writes with an obvious love of history and this is where his strength lies. His attention to detail in both historical facts and characters is impeccable. In 1938 there was considerable unrest in Europe with Hitler dominating the scene but no real indication that the USA would enter the war brewing although the government kept an eye on the situation. In 2016 the unrest that Mercer Street begins with is the disquiet of three women; Elizabeth the grandmother and matriarch, Susan a mother and a novelist and her daughter Amanda the historian who has just finished college. Following the death of Susan’s husband they are holidaying in California when they meet a professor who introduces them the idea that time travel is possible. They take him up on his offer to send them back to 1938 where Elizabeth can meet her family from the past including her toddler self. Both Susan and Amanda fall in love with men of that time. In Susan’s case, she struggles with trusting a man after discovering just before his death that her husband had been having an affair. Amanda’s love is for a young German with a mysterious background is complicated by the situation in Europe and adds more mystery. All three characters are strong, intelligent, courageous and believable as they thoroughly enjoy their adventure but need to deal with decisions about love found in their new world and avoiding action that will change the future. I must add that the love scenes do not get over physical and, I believe, suitable for young teens to read. The many other characters are well thought out and fit the story and era perfectly. John’s use of a variety of historical events is careful and considered as is the introduction of real people like Eleonore Roosevelt. He even manages to include Orson Wells’ radio broadcast of War of the Worlds. 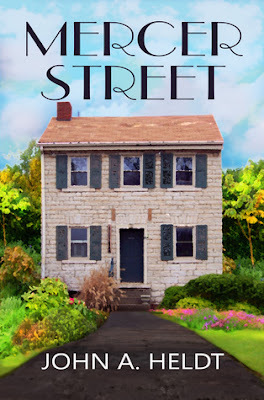 To add much more to a description of the story line would border on a spoiler but trust me Mercer Street has plenty of twists and turns to intrigue the reader. Like all John Heldt’s books I have read to date, Mercer Street flows smoothly and consistently. You travel back in time along with the characters because his descriptions are so clear they leave an impression on the senses. Thank you, John, for yet another wonderful adventure into the past. I wish you continued success. I thought that I would take an opportunity to tell my readers about the people I used to prepare my books for both print and eBook. Taufer laid out both books for print on demand companies. 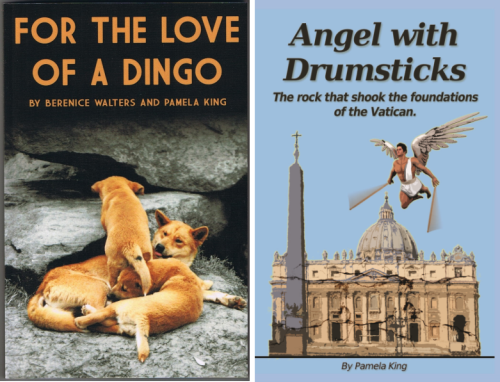 Angel with Drumsticks is printed through Createspace and For the Love of a Dingo through Ingram. They also prepared both for eBook production. You can rely on them to produce a book that looks good, take care of all the technical details, including organising your International Standard Book Number (ISBN) all without charging you an arm and a leg. They also offer a proof reading service. 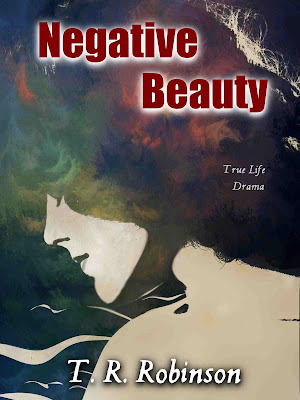 Negative Beauty is the second book of the trilogy memoirs of T R Robinson. The first book, Tears of Innocence began before WWII and told of her initially happy childhood that turned into a tortured and troubled life. In Negative Beauty she is finally freed of an abusive marriage and with her young son anticipates an easier and happier life. At the beginning the author is not clear about when this part of her life occurs but based on the end of her first book and later references to the decade it cover the late fifties and sixties; a time when women were expected to be married and dependent on a husband. Attitudes of the day towards a single mother earning a living are just part of her struggles in Negative Beauty. The title comes from the author’s natural good looks and the difficulties that can arise when people make assumptions. In the authors’ case it included men, lesbians and pimps. But that’s not all she has to deal with in this period of her life. Her day to day life is frustrated with struggles of making ends meet. Juggling three jobs to make ends meet and provide for her son leads to repeated illness. Her feelings of frustration due to lack of income and doubt about the future trigger several suicide attempts. Her naivety and trusting nature makes her a target for people wanting to harm or take advantage of her. The writing style is very different to “Tears of Innocence” as it is largely dialogue based, telling her story through conversations and reflection. I have to admit that, at first, I wondered how this would work as a memoir. It does work extremely well and makes the reader feel like they are in the room and part of the scene being played out.